EE broadband, what they offer and are they any good? Why choose EE home broadband? EE, being the biggest 4G operator and new quad-play (broadband, home phone, TV and mobile) provider, is set to merge with industry heavy-weight BT soon. This ensures you get high quality service plus great savings when you bundle more services together. Customers who exit their current providers early and join EE can claim £50 early cancellation credit. EE mobile customers who additionally add home broadband would get 5GB free mobile data every month. Everything Everywhere or EE is a major telecom service operator, when it comes to standard & fibre broadband, 4G & 3G mobile broadband and mobile phones. You can get all these services in one place means you can also enjoy the benefits of saving money through discounts and exclusive offers as its valuable customer, apart from the convenience of handling one service provider for all your communications needs. EE, the largest UK mobile network, is the merger company of mobile operators T-Mobile and Orange and has been offering LTE based superfast 4G mobile broadband since 2012. You can get both 3G and 4G from EE, if you live in EE’s network area and choose from pay monthly & pay as you go mobile phones from its huge online store. As for home broadband, you can choose the standard broadband with (up to) 17Mbps speeds or fibre optic broadband (up to 38Mbps or 76Mbps) option with calls are usually included. Recently, EE has launched its own TV which is now available to customers who use all three services – broadband, home phone and mobile from EE. EE broadband packages are of two types – standard (up to 17Mbps) and fibre (up to 38Mbps/76Mbps) – based on connection speeds. However, all packages come with unlimited data usage allowance and the most important thing is EE’s traffic management policy does not reduce speeds on any internet activities except file sharing, that too, at peak times. So, you are assured of quality, reliability and consistently fast speeds at all times. EE offers advanced BrightBox wireless router with its broadband. The new technology on this hardware helps you get the best out of your connection – whether standard ADSL 2+ or superfast fibre optic broadband. EE broadband deals include PAYG calls and you can add anytime calls & mobile calls. EE is currently the largest 4G operator in the UK with more than 80% coverage and is set to reach 90% by 2017. The main advantage of LTE based 4GEE is the very reliable, superfast mobile broadband (up to 40Mbps speeds) for your mobile devices when you are on the go. 4G is must for mobile broadband users who watch HD vidoes online or make downloads of big files or play online games via apps. 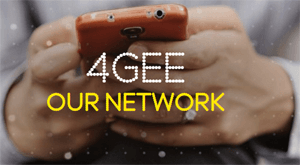 Most often you can use EE 4G both while you are indoor or on the go.4G Plus (4G+) is the new upgrade that’s going on EE 4G network to offer speeds up to 90Mbps! At these speeds, you can download 1 hour HD video in just 4 minutes. EE mobile customers, including T-Mobile and Orange, can get the new EE TV when they bundle unlimited broadband (standard or fibre) and can enjoy 70 freeview digital tv channels on free EE TV box which has pause, rewind & rewind feature. 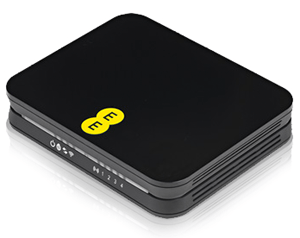 Using EE TV box, you can watch catch up TV shows and on demand movies & videos just as you will do on Sky TV box or TalkTalk YouView or Virgin Media TiVo.